Hey! It’s Jacey! 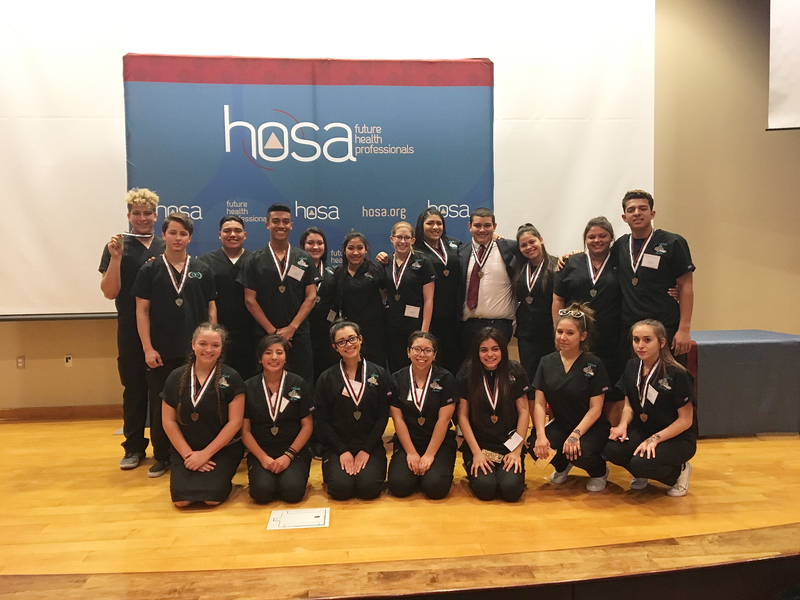 Although y’all probably already know this, I am a member of the Health Occupations Students of America (HOSA) Chapter at Oñate High School here in Las Cruces. As a freshman, this is my first year participating in this club and I love it! 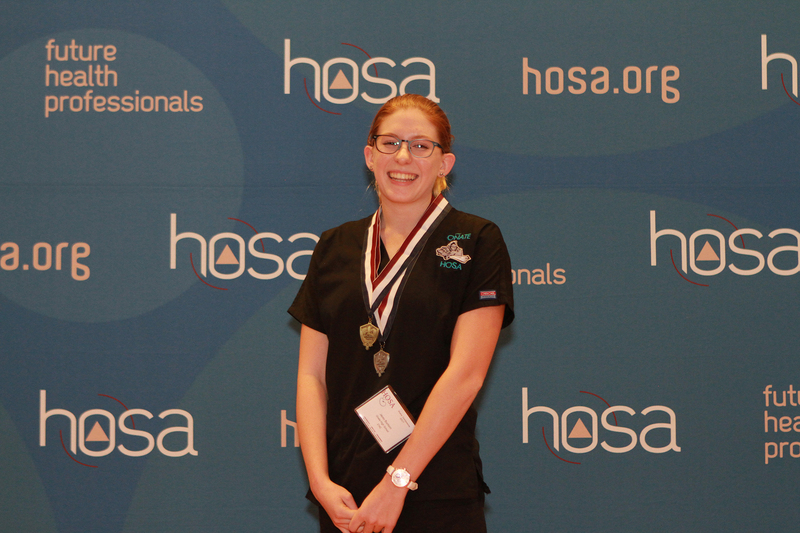 Basically, we learn a whole lot about a medical topic (for example, Dental Science, Sports Medicine, or even Pharmacology) and then we compete and complete skills at competitions. 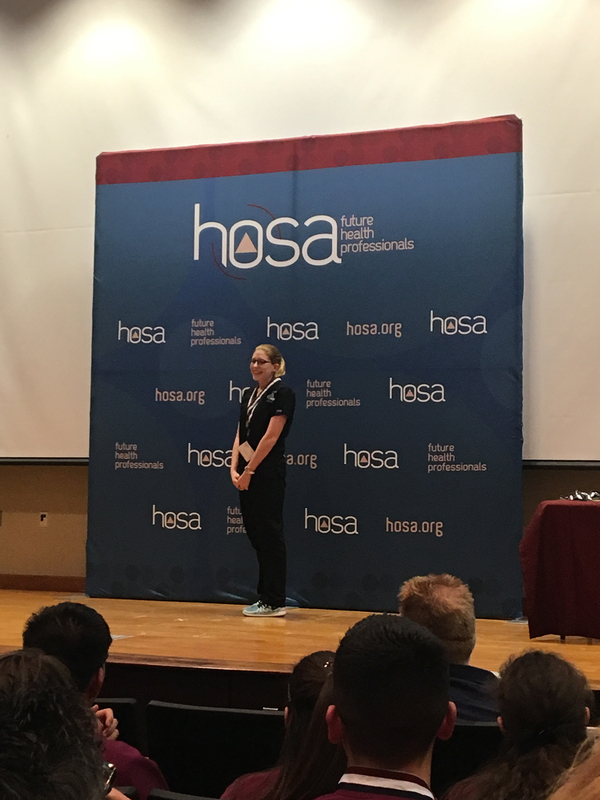 Our NM state conference was back in February and there I was blessed to have placed first in Physical Therapy and second in Medical Reading and also qualified to compete at the International Conference this year in Orlando, Florida in both events. I competed in a total of 3 events at the state level. Sadly, you can only compete in one event at Internationals so I decided to compete in Physical Therapy. All of the USA is going to this conference, including some from Canada, Mexico, Puerto Rico, and even some places in Europe. This is an amazing opportunity for me, especially as a Freshman. I hope to do really well as I am studying extremely hard (note from Mom – she has even postponed driver ed to study for HOSA). The only problem is that going to this conference is EXTREMELY expensive. For me to be able to go I am going to need some help. 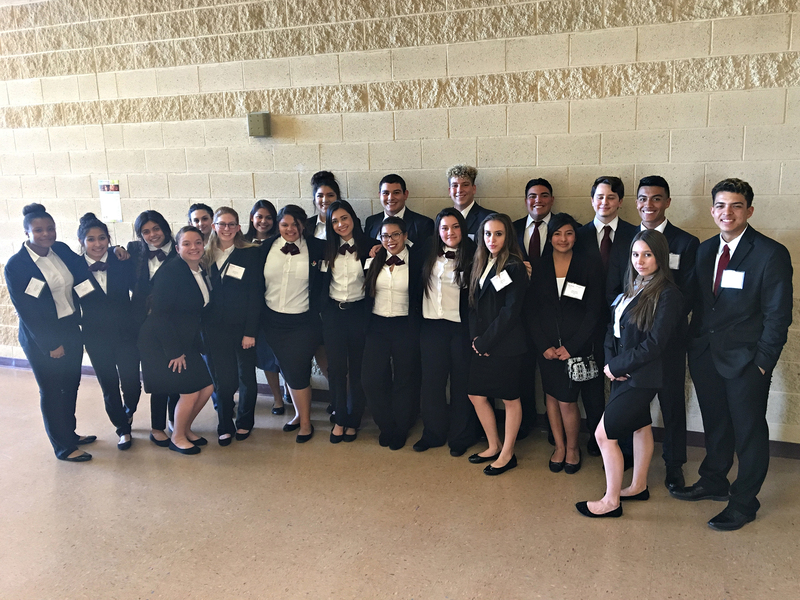 Would it be possible for any of y’all to help contribute and send me to Internationals? It would absolutely mean the world to me! I am looking forward to this so much! To learn more about the conference, go here. The kids will be in Orlando, for 5 days in June, including one day at Disneyworld. This is an amazing opportunity for Jacey and we truly appreciate any help you are willing to give. Below is a breakdown of costs as well as a Paypal donate button. If you’d prefer to send us a check, please just let me know!